I finally bought a Milwaukee heated jacket! I know it's too late because we have not had frigid cold of less than -15 ℃ for nearly 2 weeks now but I don't regret that because in Alberta you need jackets even in June sometimes! The jacket uses a re-chargeable battery which isn't included! 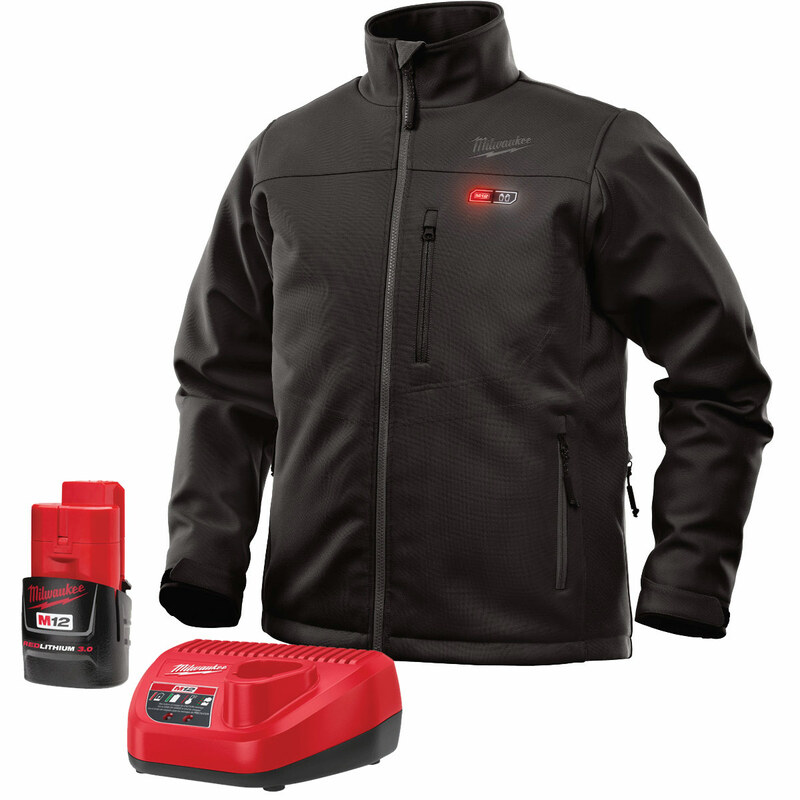 You need to buy the battery and battery charger separately but since this jacket is mostly used by the people who work outside, I assume that they mostly have the tools which uses the same battery and chargers so it should not cost them extra. The cost of the jacket, battery and the charger altogether is a little less than $200 which is reasonable to me. You can't get a decent jacket for less than $300 unless it's on sale and good jackets, I've seen, cost as much as $900! So its worth $200 as long as no one minds the look, although it's not bad. It's a work jacket not a party or girl-pick-up(!) jacket but I don't mind it as long as it's comfortable and keeps me warm which it does both. It's also water replant. Once I washed my face and a few droplets landed on my chest. I saw them sitting there after 2 hours! I guess this quality deteriorates as the jacket ages but not to the certain that you get socket or even wet. If you're planning to buy the jacket (which by the way comes in three colours) you need to consider that you always carrying the battery and battery holder at your waist (left side where your kidney is placed!) I have never felt that since the purchase unless for the time I put it on and take it out. It never bothered me. I originally bought the jacket for hiking because I assume it would help if I was gaining elevation and the higher you get the colder it becomes and I thought if the side pocket bothers me, I can hang or put something at the opposite side and make it even but I haven't had the chance to try it during hiking yet. In fact I haven't been to any hike the short hike last summer but perhaps I'll get a chance in near future. Even if that's not comfortable during hiking (which I doubt, it should be) I still can use it almost year round in Alberta and perhaps in other place in the country and abroad. The only issue this jacket has is that they have used valcero for the end of sleeves and that is annoying at times. Besides it's extra hangs out. That's the only problem I can see in this jacket so far. The other thing and I don't want to call this one an issue is that there's no element for sleeves. I guess that is difficult for them to make because you bend your arms at elbows. Or maybe that would require a bigger battery. I don't know. It's how it has been designed and I personally believe that it would help much better, if the sleeved were heated as well. Maybe they see that in their next version. What I don't understand here is why this idea has not come to hiking gear industry. There are plenty of manufacturers of outdoor gear but I don't recall I've seen any heated jacket so far. Could weight be a problem? Battery? I see none as a major issue to prevent a company to invest in such product.